Winter is the perfect time for a little 'facelift!' Back on the market and celebrating spring, Whatcha Dune has just emerged with a brand new look and it's FUN! 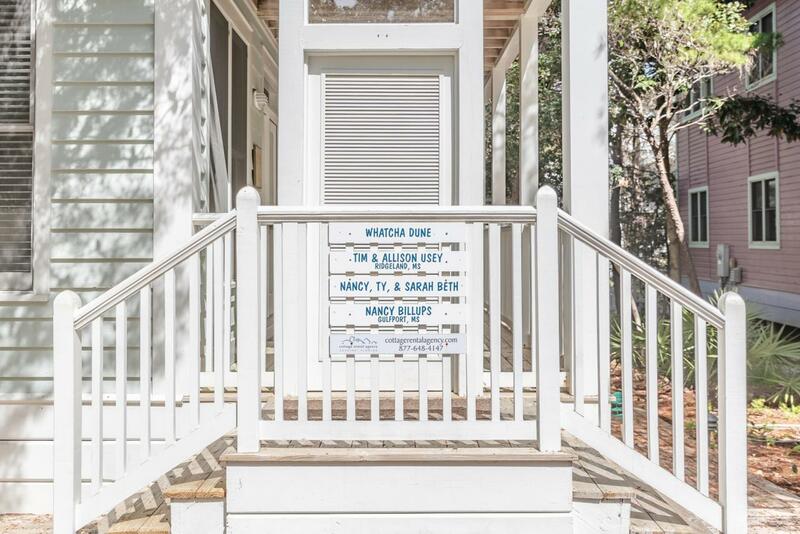 Come see how a sweet, happy beach vibe transforms an otherwise basic house into a must-have beach cottage!! 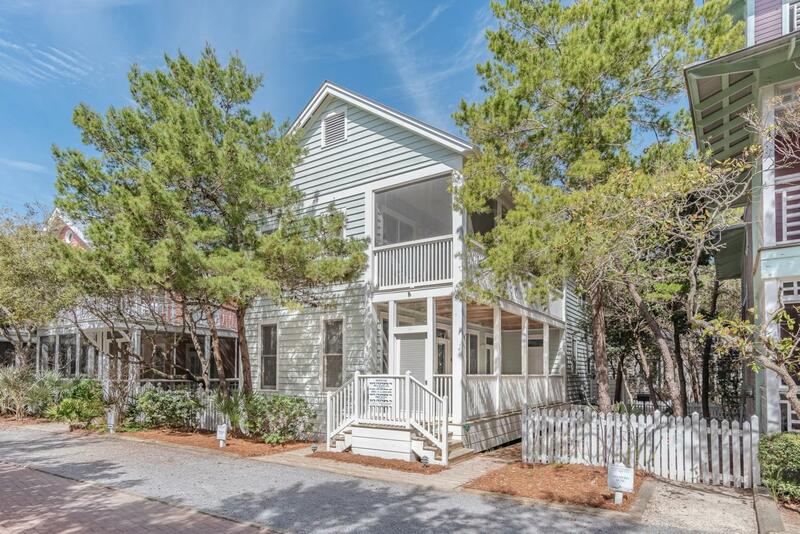 Whatcha Dune is a family-friendly cottage centrally located near the Seaside Chapel and directly across from Forest Street Park. Equidistant to both east and west-end pools as well as the beach, families love this location! 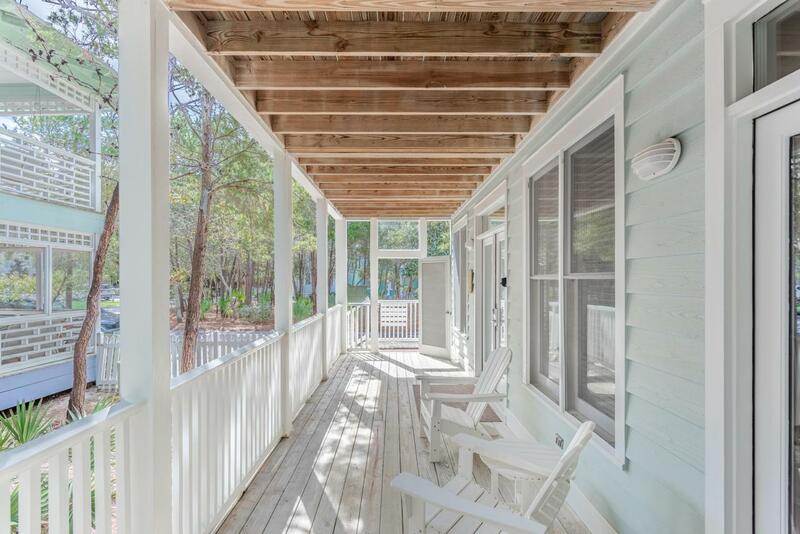 This inviting cottage offers the popular open floor plan that everybody prefers. The kitchen is roomy with granite countertops and a breakfast bar seating four. A breakfast nook off to the side provides a cozy corner. The kitchen (continued)...blends seamlessly with the dining area and then into the living room, which includes a fireplace for those chilly winter nights. Off the living room is an open deck which runs the width of the living room for your outdoor grilling and enjoyment, while a full bathroom and plenty of storage rounds out the downstairs plan. 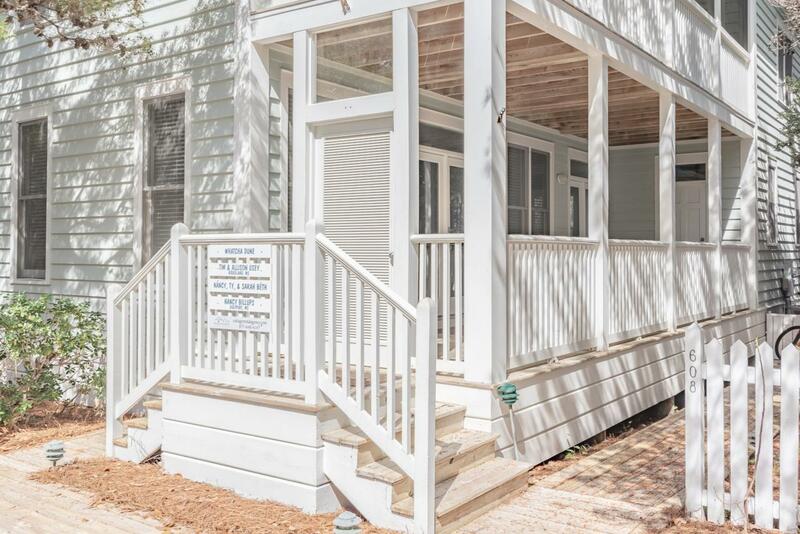 Upstairs, the second floor includes a Master (king) bedroom with a full bath and opens onto a shaded screened porch overlooking the Park. Two guest bedrooms, one with twins and the other a queen, share a Jack and Jill bathroom. The queen bedroom also enjoys access to the screened porch. The third floor loft boasts two twin beds and a small sitting area with flat-screen TV offering a special getaway place for the kiddos. Two story porches run nearly the length of the home with the first floor porch being open and the second level screened. This cottage has been greatly loved and is in excellent condition. Forest Street is a peaceful location, bookended by two community pools and framed with lots of green space.